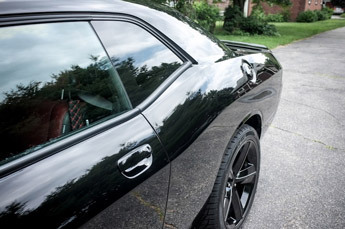 2013 Dodge Challenger detailed by Derek K. in Lancaster, MA. 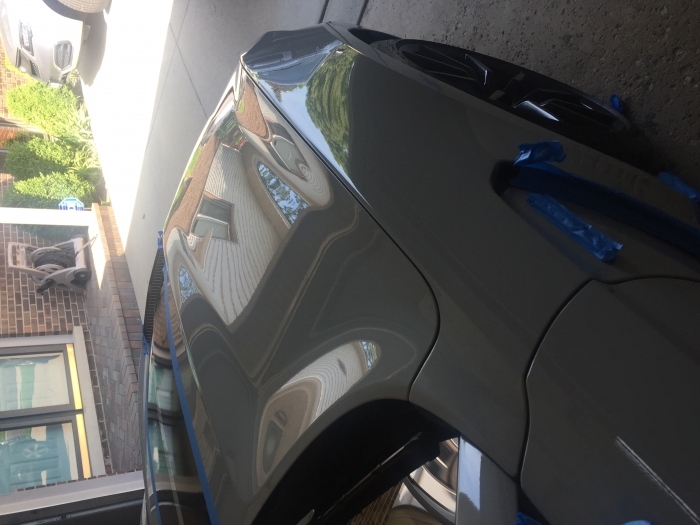 Derek used Pinnacle Advanced Finishing Polish to remove light swirl marks and scratches, then applied two coats of SYNERGY to enhance and protect the finish that he perfected. Look at those reflections! Synergy complements all colors exceptionally well, but the highly reflective, glassy finish that it creates on white and silver paintwork is simply stunning. 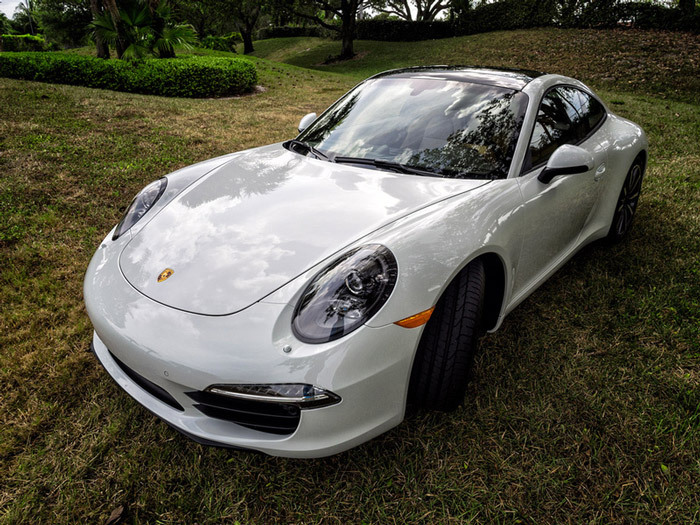 Thanks to Stuart M. in Wellington, Florida for submitting the photo of this beautifully detailed German super car. Pinnacle Black Label Synergy has an incredible shine. Creates a smooth glassy wet look. Water can't bead off the car fast enough. 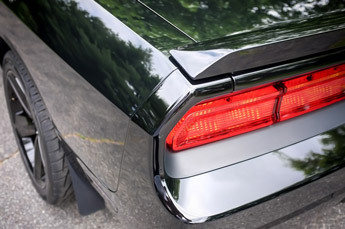 Light reflects off every curve. Apply a thin coat 2 panels at a time and let it dry about 5 min. Gently buff off and move to the next. 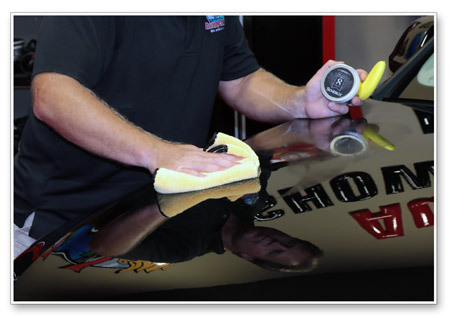 FYI: It's important to prep the paint for absolute best results, either by hand or machine. 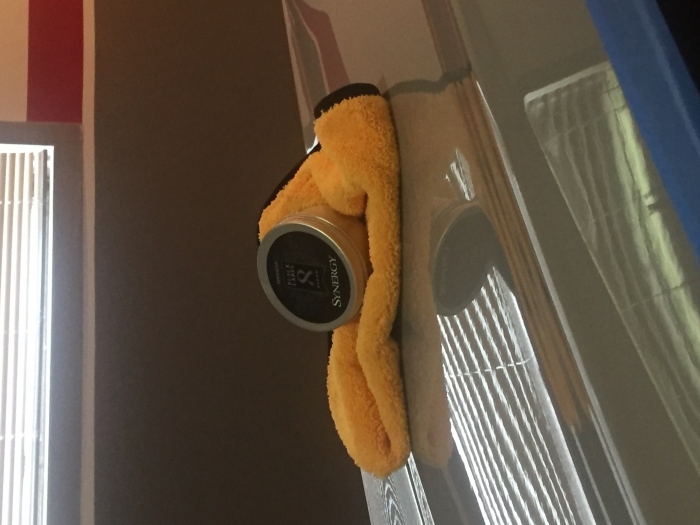 A lot of people assume you need a machine, but you can produce decent results with a polish pad and cleansing lotion (search AG for info). I do have a Flex 3401 D/A, but back in the day I just used what god gave me. 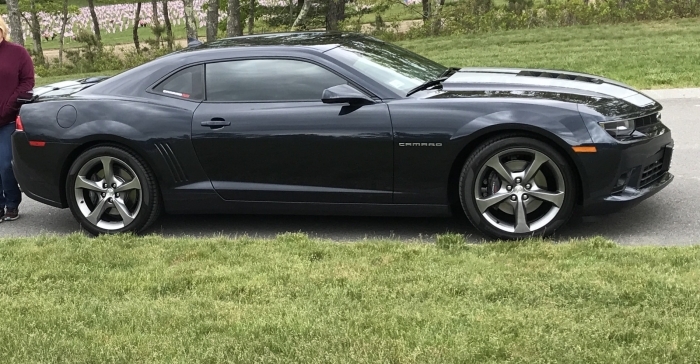 Prep & wax once in the spring and again in the fall. ProsEasy on, easy off. Amazing shine. Last a solid 4-6 months. ConsPrice - small can for the money (compared to WG Fuzion). 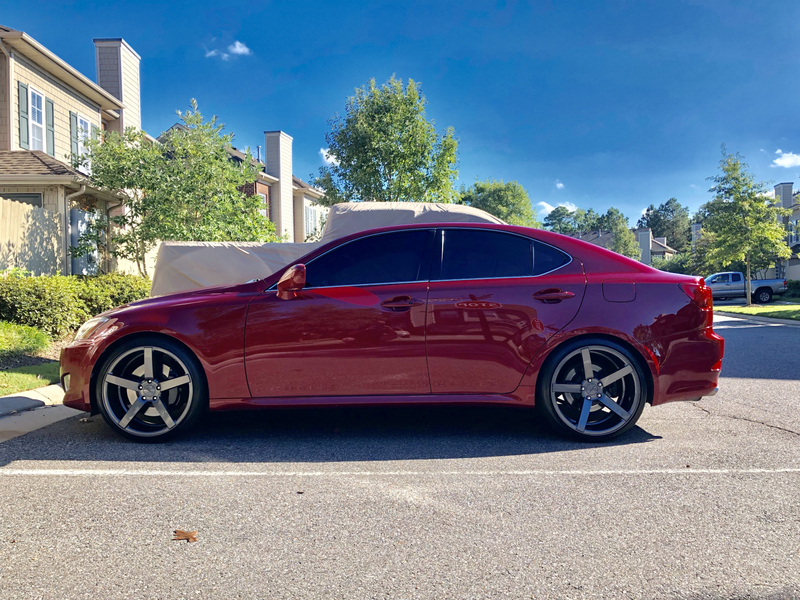 I have applied his wax to my 2006 Lexus IS350 about 3 times now. Every time I apply this wax I simply cannot believe how great a 13 year old car can look. 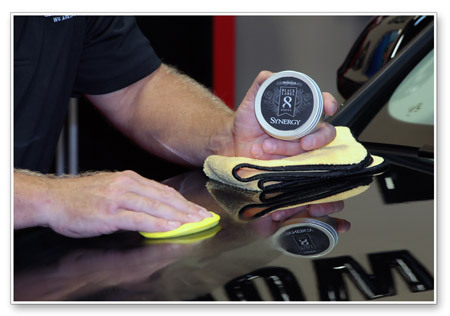 After prepping the paint for wax I apply the thin layer as directed and wipe away. The product takes a bit of effort to wipe the excess away if you apply too much product. But the shine that is produced is simply amazing. I have never used a product that created a more brilliant shine. Its ease of use and amazing results has earned my highest confidence. 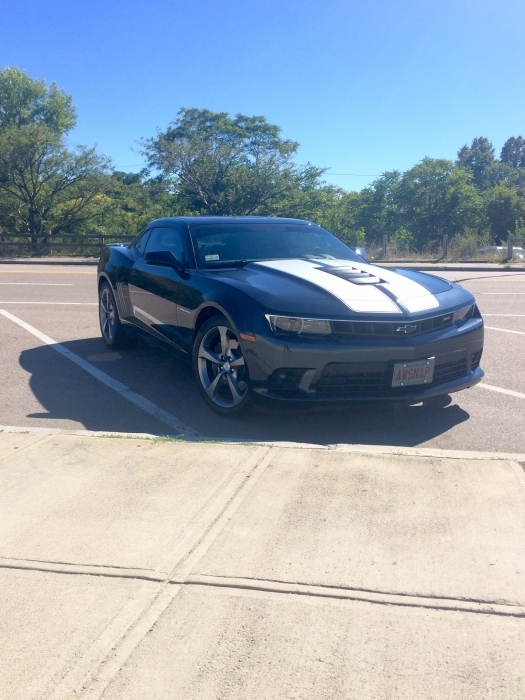 The wax lasts around 3-4 months as this car is my daily driver. I highly recommend this product and all pinnacle prep products. Beyond my expectaions.Unbelievable shine and depth.Highly recommended. I have a Blizzard White 2016 Avalon Hybrid, and using this wax has been a labor of love. Well worth the price for the small amount. The key is to use a small amount, but apply maybe every four days four times. 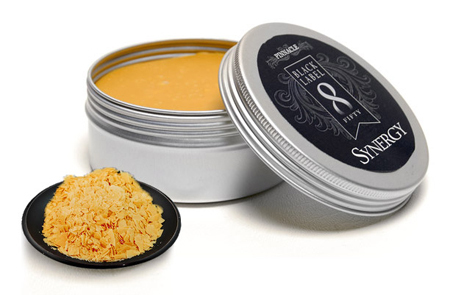 The result is far superior to other waxes. Make that FAR superior! I purchased a new 2017 Shelby GT350 in Avalanche Gray and I wanted the paint to look just sprayed. I've seen Synergy for a couple of years now, but I've been hesitant to spend that kind money. This past Memorial Day the had a Cyber Sale on top of another 20% off, so I ordered it. I clay barred, compounded and final polished the paint with my Porter Cable buffer. I applied one coat of Synergy by hand...starting from the front of the car towards the back.? By the time I got to the back, it was ready to be removed. It came off as easy as it went on. The shine....amazing! It made the gray shine like I couldn't imagine! Wait for a sale if you are hesitant about the price...but get it! ProsPrep work is obviously key Easy on, easy off Fast flash/cure time Intense shine Very "wet looking"